Well, it is 12 days until Christmas, and what better way to pass the time than to give you ONE CHRISTMAS TOYBOX TALE A DAY? I’ve created more than 12 Christmas Toybox Tales over the past several years, and they are all available on www.ToyBoxTales.com, but I will post one a day here in easy-to-view flash each and every day! If you want them for Kid’s Church use, I will also provide a link to the download page. BLOG ABOUT THE 12 DAYS OF TOYBOXATALES or COMMENT on posts and you could win a very VERY cool toybox prize! 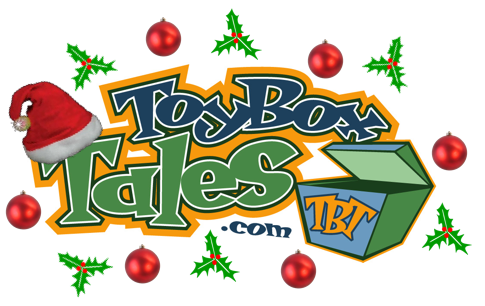 WIN an orginal ToyBoxTales set used in a Toybox Tale! I’ll post the set and the tale it was used in half way through the contest. Every comment and post you make gives you another entry in the contest! So comment and post away! Just point your links to: www.kidologist.com/12-Days-of-ToyBoxTales so I’ll know you linked! Taking a page from the Tanner website are we? That’s OK… I’ll definitely post on my blog. How fun! Yup, as Steve Tanner said, “tested on Tannerworld then appllied to Kidology” :-D I actually asked him if he minded, and he even helped with the blog redirect and google analytics for the special URL. Your too creative. I’ve been using these in my Kids worship time before we start each week. I’m starting to work on my own now. nice angel :o) Your work inspires me. yep. very creative! I loved it – I think my kids would too.